How do you actually teach K-12 engineering? How do you integrate it with what you’re already teaching? How do you know if what you’re teaching is really connected to engineering as it is taught in college and practiced in the field? Engineering requirements in NGSS could lead to changes in teacher training and curriculum development for science learning. With the adoption of Next Generation Science Standards (NGSS) that include engineering, schools in these jurisdictions are no longer asking if they should incorporate engineering into their science teaching. They are asking how. However, almost all must address these questions with little or no formal training in the field. And answering them fully and completely will take time, training, and different kinds of classroom materials than currently exist. To get started, these schools need a more immediate answer. They need a hack, a rough-and-ready way to get started making engineering a meaningful part of their teaching efforts. Minimal preparation for teaching engineering is not their fault, of course. The K-12 education infrastructure features still scant training and materials even for those who have taken up engineering at their own initiative. * Now with NGSS objectives coming on line, many more educators will need to tap these resources to prepare for meeting the engineering content requirements contained in the standards. It is not at all clear that these resources will suffice. Many K-12 engineering programs deliver hands-on, collaborative learning experiences. At least a couple dozen K-12 engineering programs are available for adoption, spanning the whole K-12 grade spectrum. 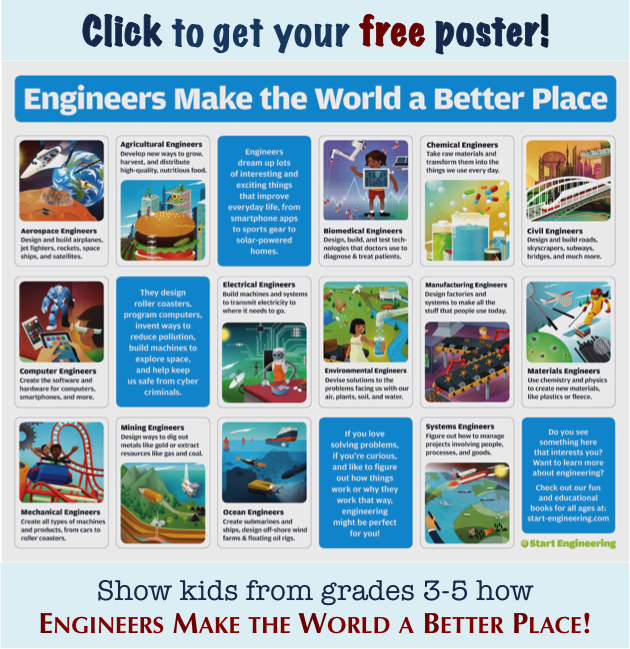 Among them are the teacher-friendly Engineering is Elementary, the technology-focused Infinity Project, Project Lead the Way, ITEEA’s technological literacy-oriented Engineering by Design, and SAE’s A World in Motion, to name just a few. They range widely in content emphases, scope and cost, professional development opportunities, and format. Finding a program, however, is the easier side of the equation. Finding teachers to teach engineering is harder. They need content knowledge in engineering itself, a grasp of the program landscape, and command of pedagogical principles and practices that differ in notable ways from those associated with science and math teaching. This skill set can be hard to learn via in-service training, and few education schools deliver them in pre-service programs. Plotting the first steps towards implementing NGSS requires more immediate, more basic guidance than what is available from a whole-curriculum solution. And you can’t just hire your way to implementation, either, as the teacher cohort with K-12 engineering abilities does not exist. As a result, engineering in NGSS represents something like an unfunded mandate, a learning cart put ahead of a teacher prep-materials development-curriculum writing horse. Subscribe now to get updates by email from Start Engineering. Successful K-12 engineering is going to have to start with existing teachers working within existing curricula. For these teachers, a hack, a framework or mind-set orienting them towards engineering, is a necessary first step. In our scheme, failure, design, and relevance are all interrelated and can lead to engineering learning. Our hack, our solution to this “just-getting-started” problem, is the topic of this post and the three that will follow. We’ve developed this solution around three ideas central to engineering as a course of study and practice: failure, design, and relevance. This post provides an overview – a discussion of the need and a general sense of how these three ideas fit together. In future posts, we will explore each individual element – failure, design, relevance – in more detail, laying out the idea at hand, examples of it in practice, and thoughts on how it might be implemented as part of a classroom practice. Failure has an undeservedly bad reputation in education. Learning from failure is a bedrock principle in engineering. If you are designing, say, a bridge or a water filtration system or a medical device, you want to understand all the ways the technology can fail in order to put it into the world as something that will serve the needs of people using it, in all the inventive ways that people will end up doing so. So you test to the point of failure, over and over again, until you have learned all you can about how to prevent failure in actual use. Design is a disciplined, repeatable method for getting from problem A to solution B. It is the engineer’s go-to piece of intellectual technology. The design process is iterative and collaborative, drawing on creativity, communications, and analytical skills. It functions as a readily transferable template for critical thinking skills, across any number of other disciplines. Learning the design process might be the most valuable lesson students take away from studying engineering. Engineering is often defined as the application of science and math to the solving of people’s problems and the improvement of their lives. The products of engineering are, by definition, integral parts of our daily life. Whether we know it or not. In fact, we live so deeply immersed in the engineered world that it has become nearly invisible to us. Buildings, cars, phones, physical infrastructure – all are important feats of engineering. But so are pens and pencils, pump dispensers, no-iron shirts, and revolving doors. And many other mundane, essential elements of everyday life. How all these things get made, and how other things do not get made, can lead into questions of business, markets, government, politics, ethics, history, and philosophy. Engineering, the often invisible ground on which we live our lives, reflects choices worked out within all these realms that can cast a fascinating reflection back on who we are and what we value both as individuals and a society. Each of these three elements serves on its own as a useful angle of entry into the question of how to teach engineering. In addition, they also enable teachers to put engineering to work as a mechanism for integrating other disciplines into teaching and learning activities. To be sure, this integration encompasses the other STEM fields – science, math, and technology. The integration can also extend, though, to the social sciences, humanities, and arts. In our next post, we will look more closely at the idea of failure and its uses in learning. Meanwhile, what do you make of this approach? Does it seem persuasive or potentially useful? What are we missing? Leave a comment or contact us directly with your thoughts. Want to receive blog updates by email? Join the 1,200+ subscribers to Start Engineering Now. You can also follow along on Twitter @StartEngNow. 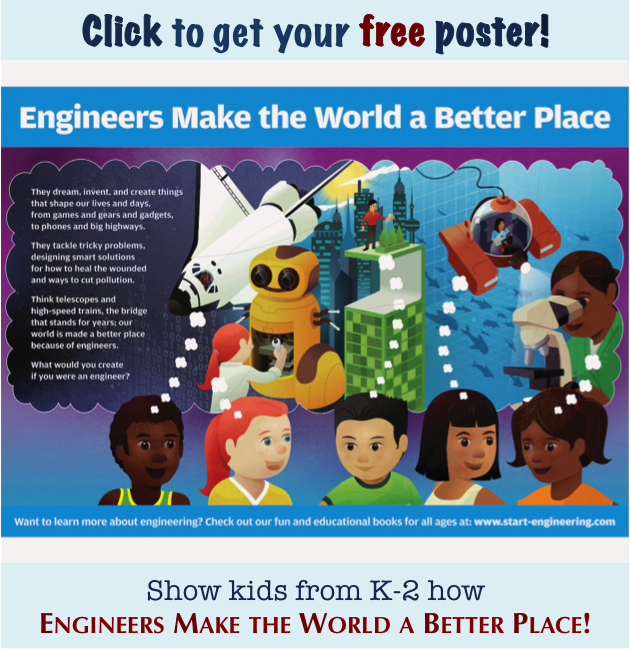 And don’t forget to take a look at our popular K-12 engineering outreach books, What's Engineering?, Dream, Invent, Create, and Start Engineering. Photos: science class, woodleywonderworks, used by permission; NC State College of Engineering, The Engineering Place.